If you've been waiting to upgrade your ride to gain more space for your growing family or more room for weekend road trip gear, your patience is about to be rewarded. 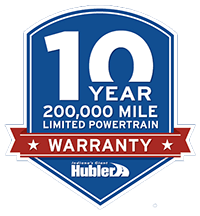 That's because the pre-owned SUV inventory at Hubler Automotive Group is brimming with high-quality and affordable models from a variety of makes. Come to our used Chevy dealership near Franklin, IN, to get the used SUV you've been hoping for! What do you value most in your next vehicle? Those who are looking for off-roading capabilities will love the used Jeep Wrangler Unlimited and Jeep Grand Cherokee SUVs we sell, as they offer versatile performance and plenty of features. If you're loyal to the Chevrolet brand, you'll find plenty of options at Hubler, including pre-owned Chevy Traverse, Chevrolet Tahoe and used Chevy Equinox SUVs that are ready for you to test-drive today. Each of these Chevrolet SUVs offer the performance, safety and comfort amenities you know and love. Other models we have available include the used Ford Escape, GMC Terrain and Honda CR-V. Regardless of which pre-owned SUV you have in mind, we're committed to helping you find the right ride for your lifestyle. When you need enough space to accommodate lots of gear or up to seven passengers, our Indiana pre-owned SUV dealership has what you need. Our inventory includes used full-size SUVs like the GMC Acadia, Dodge Journey and Ford Explorer. Looking for a more refined SUV? You can test-drive a used Acura MDX at Hubler. Visit Hubler Automotive Group to explore our expansive used SUV inventory and get the keys to a new-to-you SUV you love!